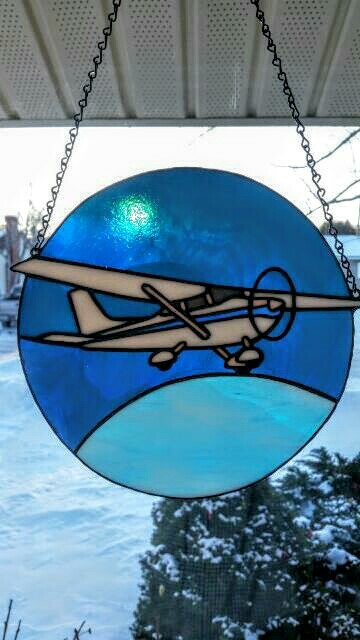 My cousin, Sharon Gaudet, requested a Christmas gift for her daughter, Brittany who is a commercial pilot and flies a Cessna 172 in Ontario. 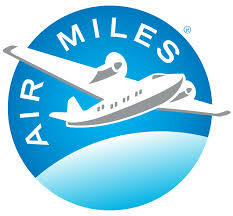 Husband, Brian, envisioned a 10″ round panel with same colors and design as the Air Miles logo but with a Cessna instead. Challenge accepted! 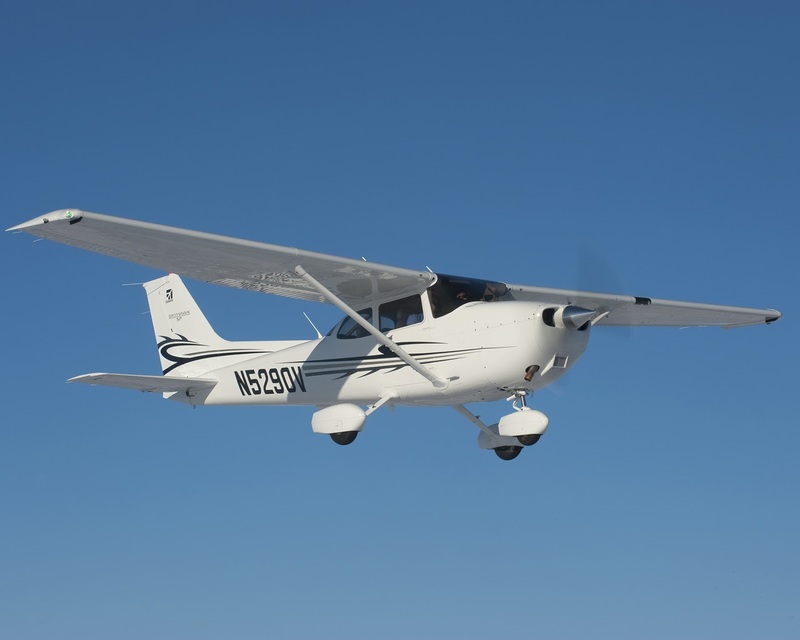 I surfed the internet for images of the Cessna 172 looking for any in the approximate position as the plane on the Air Miles logo. I took extra care in selecting an image that would be “glass friendly” (No inside sharp points, no bizarre angles, good connection lines for soldering, etc). This is the image I chose. This was a challenging project for the following reasons; a) I had limited glass for the dark blue sky color which meant accurate and careful cutting and grinding, b) there are many small pieces (extra care required in cutting and grinding), c) as a round panel, exterior edge-beading is trickier because of the round surface and d) the color pallet is restricted to only blue and white so interest must be created through design rather than color. All in all, a 20 hour project turned out a lovely little panel for Brittany’s Christmas. 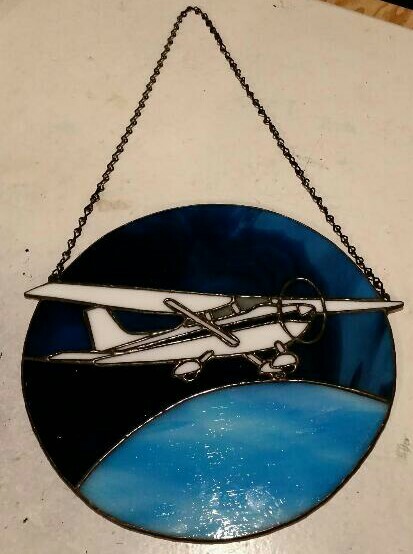 She comes from a direct lineage of pilots (2 great-uncles, Delbert and Lee) and I hope this panel always reminds her of her love of flying.